Explore an island shaped by the sea where some of the most astonishing tides in the world circle the coast. Experience the beauty of Jersey’s stunning coastline on a sea kayak tour with the island’s only specialist kayak company. 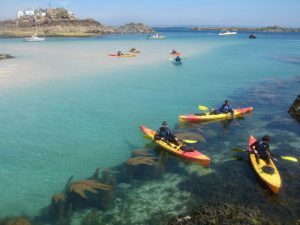 Discover another world as you explore Jersey’s stunning coastline by user-friendly sit-on-top kayaks. Paddle with local guides whose knowledge make this more than just a kayak trip. Explore caves, cliffs and observe marine life. We kayak from locations island-wide, so no trip is ever the same. Suitable for all ages; novices are welcome. Private tours and group bookings accepted. Daily kayak tours; 1000, 1400. Sunset trips at 1800. All equipment supplied. Sit-on-top and sit inside kayaks available. Travel across by charter boat and explore these jewels by kayak. Les Écréhous, Les Minquiers & Sark trips. Every kayak trip is a mini-expedition as we discover what lies beyond the headland. 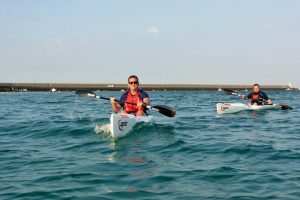 Our kayak courses are a great way to experience sea kayaking and to develop your paddle skills. 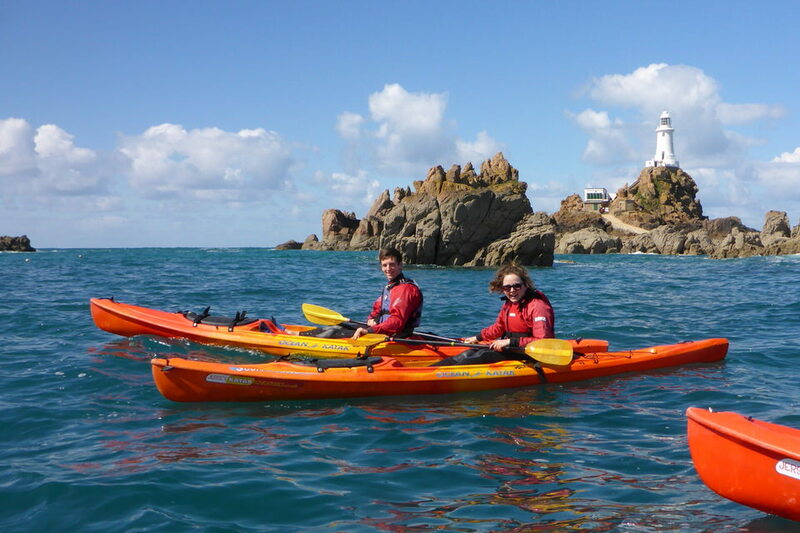 We aim to paddle from as many different locations as possible, so you get to explore the superb coastline of Jersey. Half day, day, and multi-day intermediate kayak tours and courses for paddlers with some kayak experience. 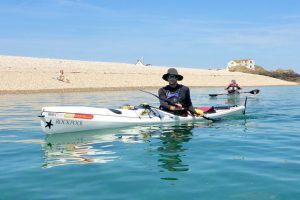 British Canoeing 1, 2 & 3-star kayak awards and sea kayak safety courses. 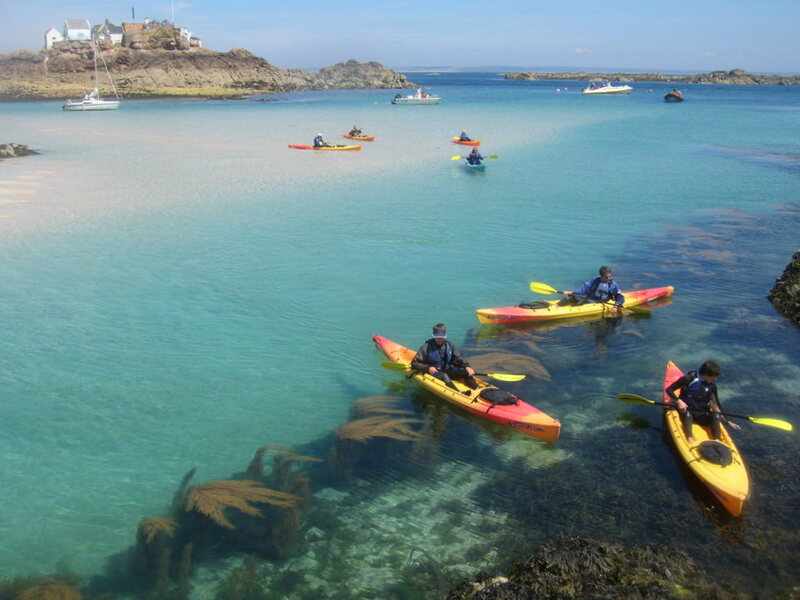 Kayak to a new level in Jersey, the island of the 12m tides. Discover a coastline that is never the same as the tide rises and falls. Paddle in small groups and explore caves, rock gardens, tide races and overfalls. 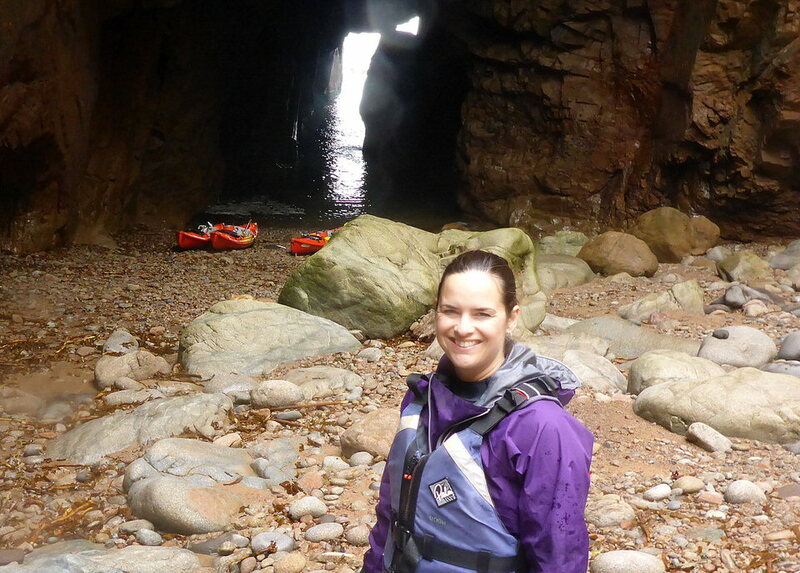 All kit and kayaks are supplied (drysuits available). Email us for custom courses and 1:1 coaching. Performance paddling and coaching in Rockpool Tarans (16 & 18 models) and Tiderace Pace 17’s. Euro, Inuit, Aleut and Wing paddles available. 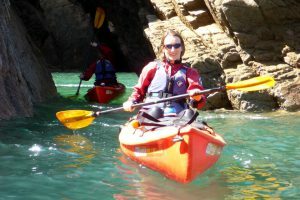 Custom tours, courses and 1:1 paddling. 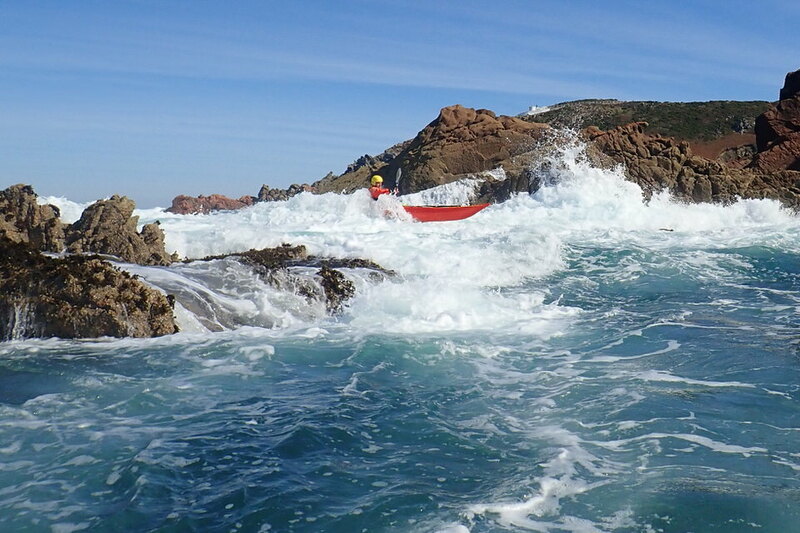 Offshore trips for the advanced paddler to Les Écréhous, Les Minquiers and Sark. Experience Epic V5 and V7 designs and high-performance surfskis in Jersey. 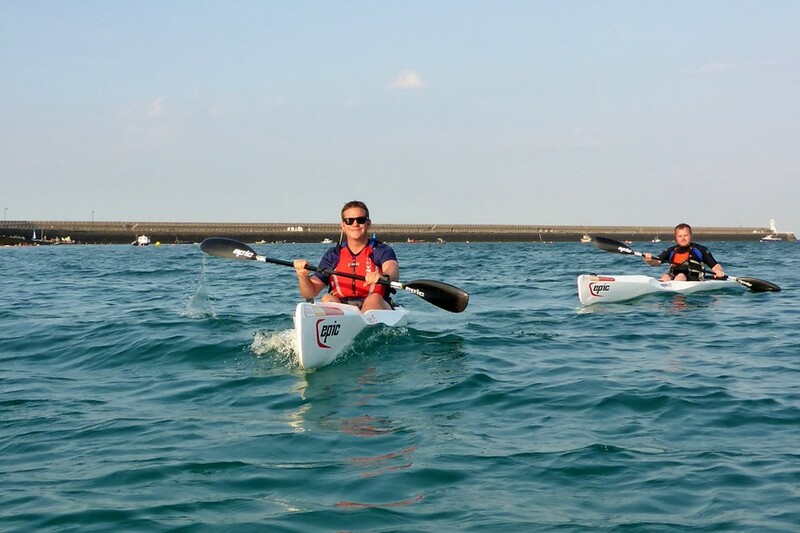 We were the first outfitter in the UK to pioneer sit-on-top kayaking. Director Derek Hairon also wrote a book about it, so we know a thing or two about sit-on-top kayaking and kayak fishing. Contact us to arrange your kayak angling, introduction to kayak fishing and safe kayak angling course. British Canoeing Quality Mark Approved Centre. 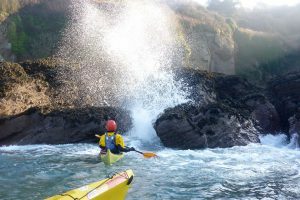 Wild Life Safe (WiSe) and Visit Jersey trained guides. Working with disabled people in the outdoors trained. Alternatively, join our guided walks on the seabed to Seymour Tower, Bioluminescence or Moonwalks with Jersey Walk Adventures.